Two EE I employees, Taylor Moore (Santa suit) and Nick Homerding (Hawaiian shirt), participated in the 9th annual Polar Plunge at Goose Lake in Anchorage this past weekend. 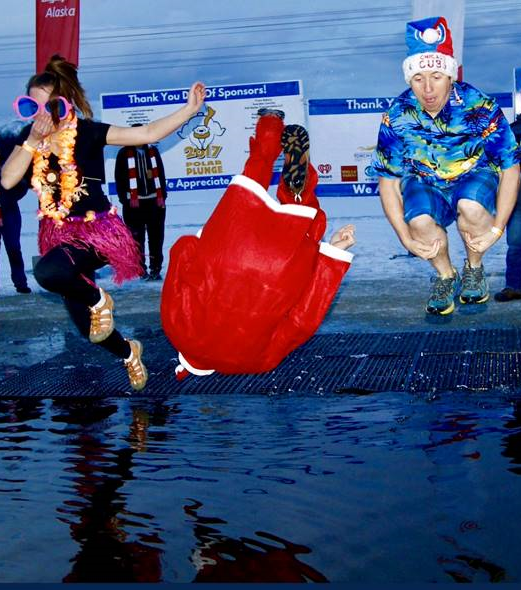 Teams braved the Alaska winter and jumped into the ice cold lake all in the name of raising money for a great cause – Special Olympics. This years event drew a record number of jumpers at over 1,000 and was expected to raise over $300,000.